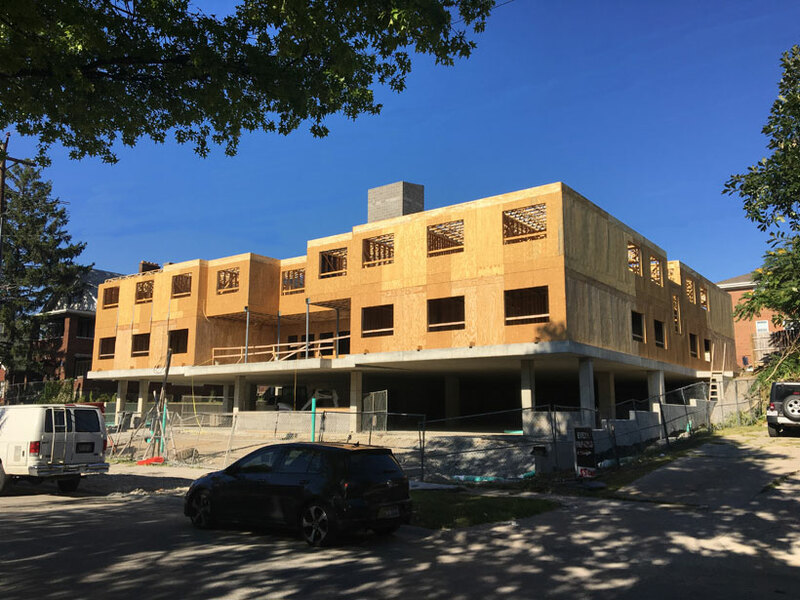 Growing ever taller is this five-story 25-unit apartment building near the University of Cincinnati designed by Childress and Cunningham Architects. Intended as student housing, the structure is already exhibiting two feature amenities, a covered first floor parking deck with exterior patio above. Watch this space for more as this new apartment community grows into a great new addition to the University of Cincinnati area! Posted in Architecture Multi-Family Projects .